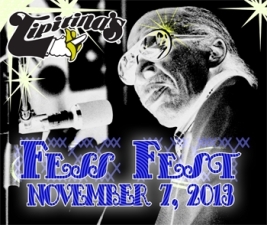 Joe will be making a special guest appearance at "Fess Fest" at Tipitina's in New Orleans next Thursday, Nov 7th. The evening will pay tribute to the late great Professor Longhair, whose family home was devastated in Hurricane Katrina and remains in shambles. 100% of the proceeds will go toward rebuilding this historic home on Terpsichore Street for the Professor’s family, who have been forced to rely on friends and family for housing since the disaster. Other guest artists include actor/musician Hugh Laurie, as well as local NOLA greats Jon Cleary, Donald Harrison Jr., George Porter Jr., and others. Tickets are available at the link below - but are going fast!